It really needs a piece of Pie. Samsung passed up a golden opportunity with the Galaxy Note 9. Just days earlier, Google officially launched Android 9 Pie, bringing a brand new way to navigate, smarter notifications, and indoor mapping with Wi-Fi RTT. The world’s most dominant mobile platform reinvented itself to stay ahead of the ever-changing smartphone landscape. But you wouldn’t know it by looking at the Note 9. Samsung launched its new $1,000 phone with Android Oreo 8.1, an OS that’s technically newer but nearly indistinguishable from the one that’s running on the Galaxy S9. 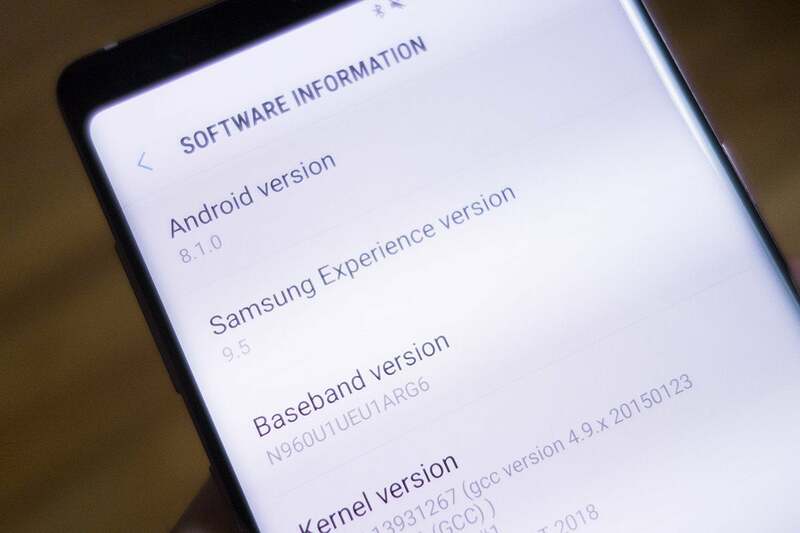 And instead of making a statement to the Android community that it will not only make the best hardware but pair it with the best software, Samsung continued to treat Android as a necessary burden standing in the way of its vision. Instead of giving would-be Note 9 buyers the best of both worlds—the highest-end hardware with the freshest software—Samsung’s latest handset runs the same version of Android that Pixel users downloaded more than eight months ago. Mind you, this is nothing new for anyone who’s used a Samsung phone, but it could have been different with the Note 9. And customers might finally be starting to notice. I’ve been using the Galaxy Note 9 for a few days now and there’s a lot to like about it, especially if you’re a power user. But while the Snapdragon 845 processor, 4,000mAh battery, and 128GB of storage are all best in class, the OS feels like a step behind. It’s not just that it’s missing smart little features things like manual orientation lock and proper volume controls, it’s that the Note 9 feels like a phone that could have released a year ago. The Galaxy Note 9 has great specs, but its OS falls short. That’s because Pie is the most significant Android update in years. Users might not have noticed or cared if the Note 8 shipped with the Nougat-based Samsung Experience, but Pie’s gesture navigation is something of a game-changer for Android. Gestures on Pie don’t just change the way we navigate—they’re a fundamentally different way to interact with our phones that’s both fresh and familiar. It’s why Essential worked to push out its own Pie update just hours after Google did, and why several other betas are already in the wild. And there’s no excuse for the Galaxy Note 9 to not be among them. If Samsung expects its customers to spend $1,250 to get the top-of-the-line Note, it should at least make a vow to support Android 9 by the end of the year. Based on the fact that Samsung hadn’t released any betas yet, and hasn’t committed to even a vague timeline, Pie likely won’t land on the Note 9 until next spring, at which time its thousand-dollar specs are almost sure to be outdated. So even if you preorder one right now, you’re still not guaranteed to get the best possible Android experience. How long will Pie take to bake? With Project Treble, the Pixel phones, and a renewed focus on rewarding manufacturers who keep pace with Google’s upgrade schedule, there are signs that Android’s fragmented landscape is beginning to coalesce into something akin to uniformity. Essential actually beat some Pixel phones with its day-one Pie update, and several phones will likely have the final version of Android 9 before the Pixel 3 ships in the fall. The Note 9 is one of the best-looking Android phones but its software isn’t pretty. But Samsung is still playing the same old game. For everything I love about the Note 9, a lot of its greatness—the screen, the speed, the battery—fades away while I’m using it. 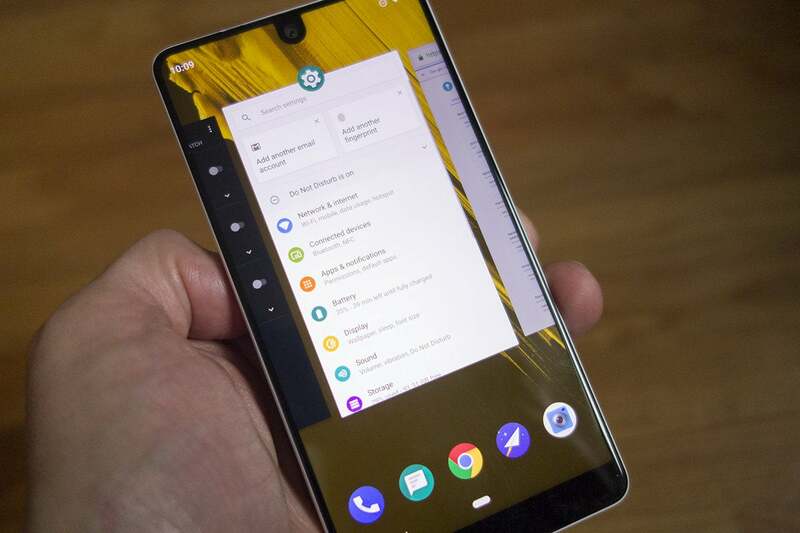 I can’t help put imagine how incredible Android Pie’s gestures and notification upgrades would have have been on a phone this size, giving the upcoming Pixel 3 a real run for its money. 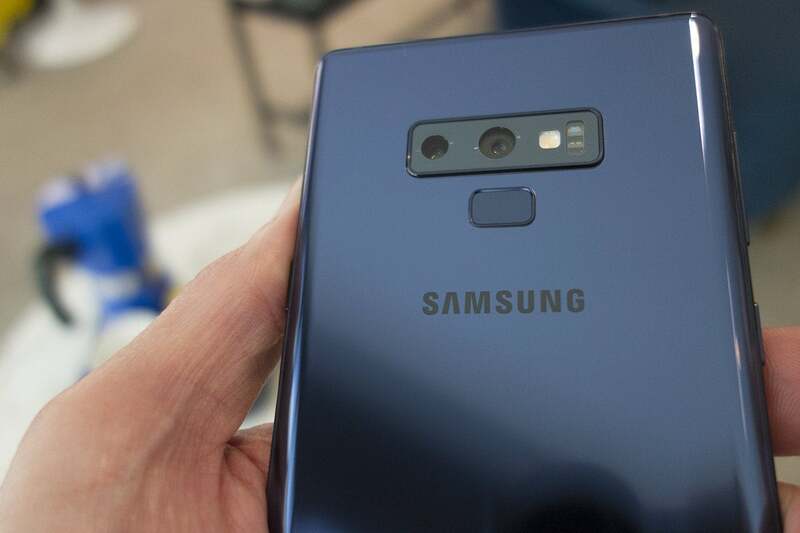 Instead, Samsung is being its old stubborn self and the Note 9 suffers as a result. The virtual home button, flipped navigation bar, and vertical Overview screen are noticeably stale and confounding in a post-Pie world, and it’s hard for Samsung to seriously compare the Note 9 to the iPhone X when it's still running last year’s OS. The bottom line is Samsung cares far more about its own ecosystem than anything Google is doing, and Android updates are only released when Samsung can properly incorporate them into their own skin. The Samsung Experience (as it’s called now) may use Google’s code as a starting point, but compared to the Pixel or the OnePlus 6, the Galaxy Note 9 is basically an Android phone in name only. And as more and more phone makers start to leverage timely updates as an advantage in a crowded, competitive field, Samsung may need to start reconsidering its philosophy. Samsung has made no secret that it sees Apple as its biggest competitor, as it works to build out a similar ecosystem with phones, wearables, apps, and, coming soon, a home speaker. But while the Note 9’s chips and memory will no doubt hold its own against the rumored 6.5-inch OLED iPhone releasing in the fall, it will fall spectacularly short when it comes to the OS. The new Overview screen is enhanced by the Essential Phone’s thin-bezel design. If Samsung wants to truly compete with Apple, it needs to care more about its software. We already know the the new iPhone will ship with iOS 12 and Samsung could have made the same promise with the Note 9. Oreo stands out like a sore thumb on such a high-end phone, and in all likelihood, the Note 9 won’t get Pie until after the Galaxy S10, more than six months from now. Even without a full version of Pie, Samsung could have made gesture navigation one of the Note 9’s premier features, but it showed that it cares more about the homogeneity of its own Experience than its users. 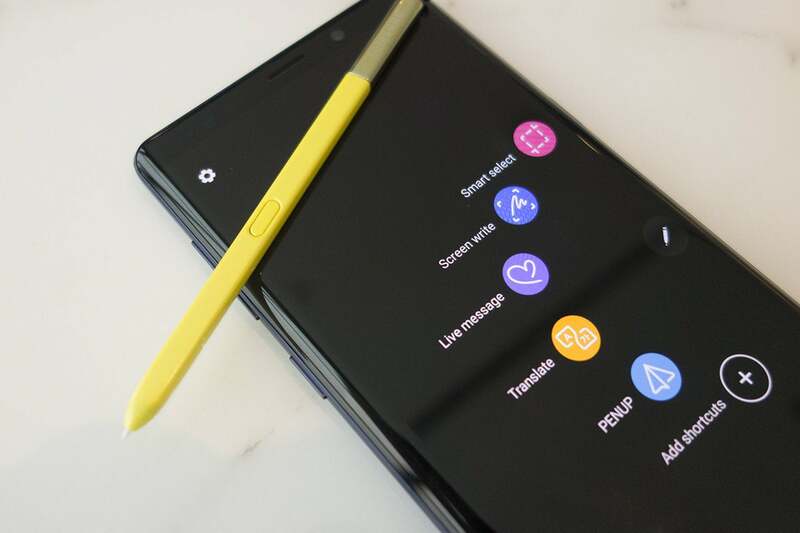 On specs alone, the Galaxy Note 9 is worthy every bit of its $1,000 price tag, with a combination of power and performance the likes of which you won’t find on another Android phone. But I’m still torn on a buying recommendation. For one, the Pixel 3 is right around the corner, and while rumors suggest it won’t be nearly as good-looking as the Note 9, Google’s new phone will still likely be the best Android phone you can buy. And that’s because of Pie. When I installed Android 9 on my Essential Phone, the difference was huge. With skinny bezels and a notch, it’s a perfect fit for Pie, and the battery, navigation, and notification improvements all make it seem like more modern and cutting-edge than it did running Nougat and Oreo. The Essential Phone has always been a stunning handset to look at, but with Pie its noticeably better to use now too. Samsung could have done the same thing with the Note 9. Instead what should have been a great phone is just really good.